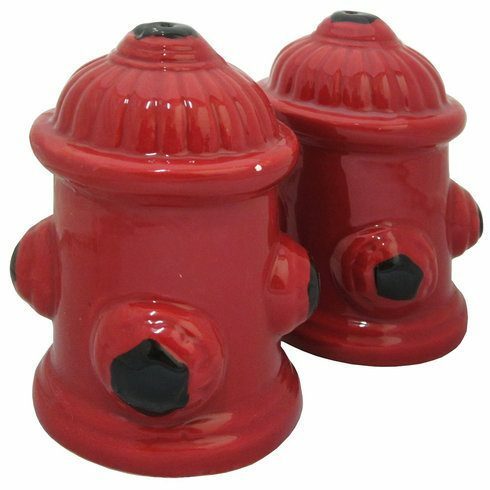 Retro Hydrant Salt & Pepper Shakers Only $6.99 Plus FREE Shipping! You are here: Home / Great Deals / Retro Hydrant Salt & Pepper Shakers Only $6.99 Plus FREE Shipping! Perk up your summer dining table with these Retro Hydrant Salt & Pepper Shakers for Only $6.99 Plus FREE Shipping! Ceramic, in fire engine red, these shakers are about 4 inches tall!